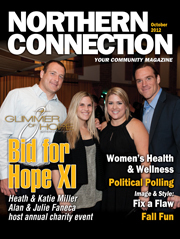 Bid for Hope Heads to Jergel’s Rhythm Grille! The eleventh annual Bid for Hope event has found a new venue, Jergel’s Rhythm Grille located close to the I-79 Warrendale exit. Jergel’s offers an expanded space for the more than 300 supporters of A Glimmer of Hope Foundation expected to attend this event on Monday, Oct. 29. This 501-3c organization continues to fund breast cancer research, in particular, for the pre-menopausal population. In addition, Glimmer has purchased innovative, as well as, much needed equipment for hospitals in the Pittsburgh area. Over $1.6 million has been invested in Western Pennsylvania to fund pre-menopausal breast cancer research.